Go for quantity. Try to come up with as many ideas as possible, as quickly as possible. No judging! Later you will evaluate all the ideas you have come up with, but if you do that while you are generating ideas you stop the flow. Write everything down. Not writing something down is a form of judging it, so capture every idea, no matter how crazy or off topic it may seem. Build on other ideas. Don't get hung up on trying to develop something completely new, because in reality there is almost nothing totally new in the world. Even the most amazing breakthroughs tend to be combinations of existing elements. Of these four guidelines, the hardest by far to observe is the second. We seemed to be trained to judge every idea instantly, and usually to judge it harshly. If you brainstorm in pairs or a group, remind each other not to judge - not even with a look or an intonation, or a self-deprecating comment like 'This probably isn't a very good idea, but...' If you have a particular problem with doing this, you probably have an out-of-control inner critic, and chapter 12 will help you transform it into a more constructive inner guide. Can I Start to Write if I Don't Have Any Good Ideas, or Any Ideas at all? 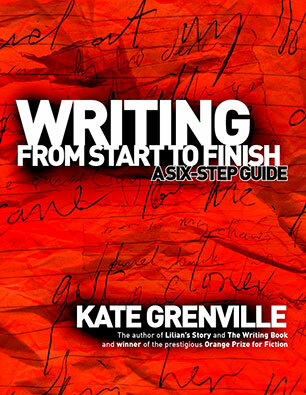 It might seem that the only way to start writing is to have an idea to write about. 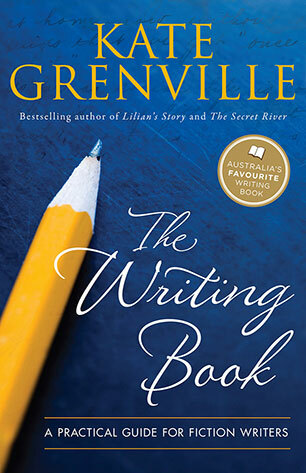 Many would-be writers feel crippled because they think they do not have any good ideas: numerous aspirant writers have never written the great novel that they would like to write because they do not know how to begin. But in fact this does not have to be the case. Writing can start from an idea, but an equally valid way of approaching the activity is by playing with words on the page: as the words form patterns they suggest ideas. Techniques of this kind are an important feature of this book. They can be a means of arriving at unusual ideas which might not arise by a more direct thematic approach. At the same time you can stimulate your creativity by becoming aware of current intellectual debates and social issues, and participating in the world about you. Most interesting creative work is concerned with either psychological, political or philosophical issues, and in most cases the relationship between all three. Reading the newspaper, watching the television, surfing the internet, and talking to friends—as well familiarising yourself with cultural theory and activity across the arts—can stimulate creative writing. In other words an active engagement with all aspects of the world around you should lead to a plethora of ideas for creative work. 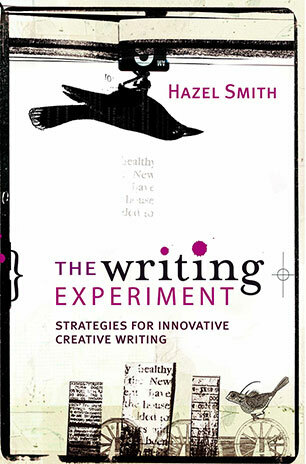 Experienced writing teacher Hazel Smith demystifies the process of creative writing, providing exercises and examples to show how it can be systematically learnt. PC: It makes me feel very vulnerable ... You spend all that time trying to be perfect, trying to create this wall of ... When you begin writing you're in a basic state of stupidity because you don't know anything. You end up spending two or three years so that you look good. And here's the bit where you're stupid! I suppose people often imagine that the process is much clearer, more calculated. INT: Can you reconstruct how that circling happens? PC: This isn't the surface of something else: this is it. Writing it is the way I think it. So I suppose I just follow the river of the idea on the typewriter. Then the river dries up and I can't think of anything else, so maybe I go back and run with it again, to see if this time it goes any further. And maybe in the course of that, another image comes up so I try that . . .
INT: Do you deliberately seek out inspiration in music or art or other fiction? PC: I've done that a lot in my life. During the late 1960s, early 1970s, I'd begin work every morning by playing Blonde on Blonde or Highway 61 to get myself sort of wound up with vindictiveness and spite. During Oscar and Lucinda I just generally read a lot of stuff about the period. I find it gets harder and harder as you get older to find a work of literature which will do for you what almost everything did for you when you were a bit younger. Everything you read you thought: Oh! Ah! Now as you get older and at once more confident, it's harder to find something that works for you. I was just on holidays and reading Don Quixote, the first page really does it for me, but after another hundred or so pages it certainly wasn't doing it for me any more. INT: Is there any part of the process that we haven't asked you about that you think is important to mention? PC: I think that the one false signal that this discussion might give is that the whole journey was more straightforward than it really was. Some of the earlier notes were much more confused and less focused than this. The process is muddier than even this indicates, and I know that this is muddy. The confusions and the darkness ... this seemed more focused and direct than I think the process is. There's this question people have, how should I really be doing this? Students always think when they're proper writers their self-doubt and their uncertainty will go away. I say to them, this is what you're choosing for life. You think you feel bad now, you wait. Because that's the nature of writing. Ideas come from lots of places, but the one place they never, ever come from is a sheet of blank paper. Blank paper will never lead to anything better than more blank paper. That's why, if I had any rules for writing (which I don't), my first and last rule would be: Anything is better than a blank page. Getting ideas isn't usually a matter of having one giant brainstorm. More often, it's a matter of gradually accumulating a little idea here, another little idea there. Eventually they all add up. Making a list (or 'brainstorming' or 'think-tanking') is the best way I know to get started with a piece of writing. Your mind can flit around the topic quickly. You don't have to write a list in sentences, so you don't get bogged down trying to think of the right words. You can just write anything that comes to mind. Making a cluster diagram is really just another kind of list, but one that develops into little clusters of like-minded ideas. If yours is one of those brains that works best visually, a cluster diagram might be a user-friendly way to start writing. Researching or independent investigation means finding some information to use in your writing. The obvious place to do research is in books, but you can also do it on the Net, from videos and by gathering your own information first-hand (doing interviews, conducting experiments, etc). Freewriting (or 'speedwriting' or 'free-associating') just means non-stop talking onto the page. Because you can't stop to think, your unconscious gets to have a go. The bottom line about writing fiction is that it ought to be exhilarating, as well as perhaps frustrating. The world has enough books and enough writers already, so unless you find writing satisfying you might as well do something else. Writing is often called a craft, and it is. But the more important dimension of writing is that it’s an art - it's part of the complex, slippery, subjective area where the human mind is out on the edge of experience, exploring new territory. It’s not a mechanical matter of following rules and getting all the words in the right places. That's why readers disagree about books and it's why the process of writing is so fascinating. If you want to write, there are only two things you must do. Firstly, you have to write and re-write, as regularly as you can, in whatever circumstances your life allows. Secondly, you have to read as widely as you can—not just books you like and feel comfortable with, but books you dislike, books that are difficult or frustrating to read, books that are unsettling. Read old books as well as new books, experimental books as well as traditional ones, biographies and non-fiction as well as novels, books in translation as well as books in English. The more you read, the better you'll write.